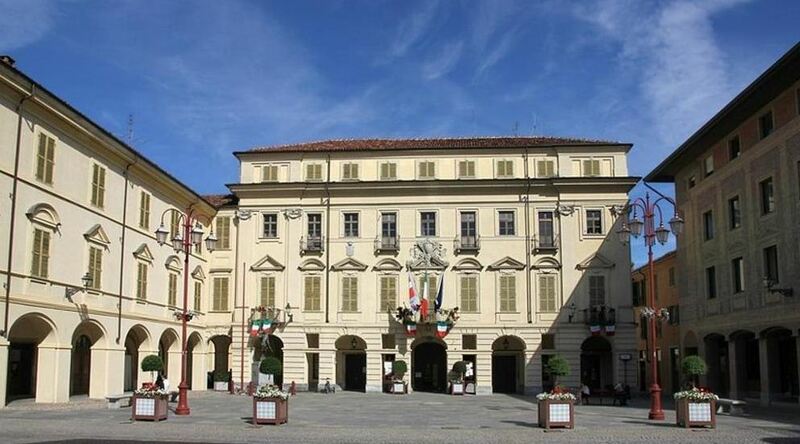 is located 15 km from the provincial capital (Asti), 45 from Turin and 18 from Alba. 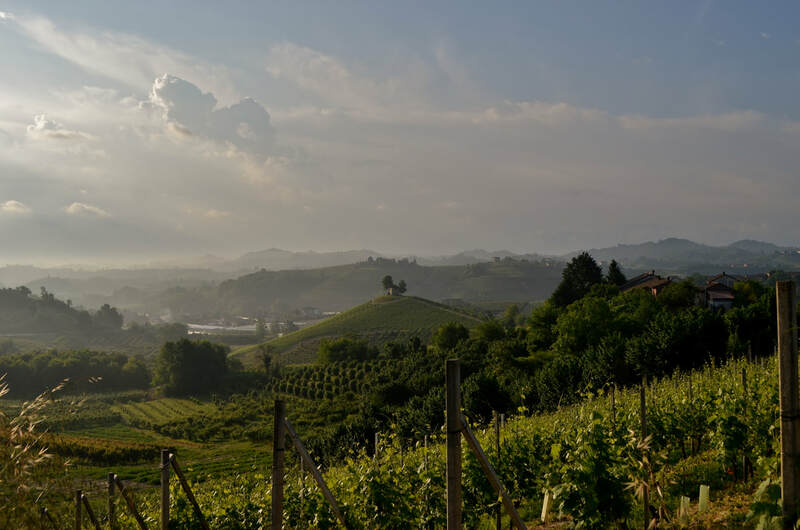 The municipality of San Damiano d'Asti is a town of the alto Monferrato area, almost in the middle of Alfieri hills , the territory consists of the extreme flaps of the Langhe, Monferrato and Roero. The town lies on a low Hill (the highest point reaches the 339 metres) on the left side of the torrent Borbore and consists of three major villages developed around the old city: Borgo Rondò, Borgo Piano e Borgo San Rocco. Through the vineyards of the surrounding hills are scattered numerous hamlets and villages in the country. San Damiano is one of 7 municipalities participating in the Palio di Asti. It's a feast that ends on the first Sunday in September with the horse race mounted "sleeping bag", without saddle, in piazza Alfieri in Asti. Participants (or brethren) are a total of 21, of which 7 municipalities and 14 wards and villages citizens. In recent times the town of San Damiano d'Asti won the Palio di Asti 2011 with Jockey Up Coghe, said Massimino II, on Last Time. With regard to San Damiano, dinner as a pledge for the race is held on a Saturday night (the eve of the palio) on the Town Hall square. 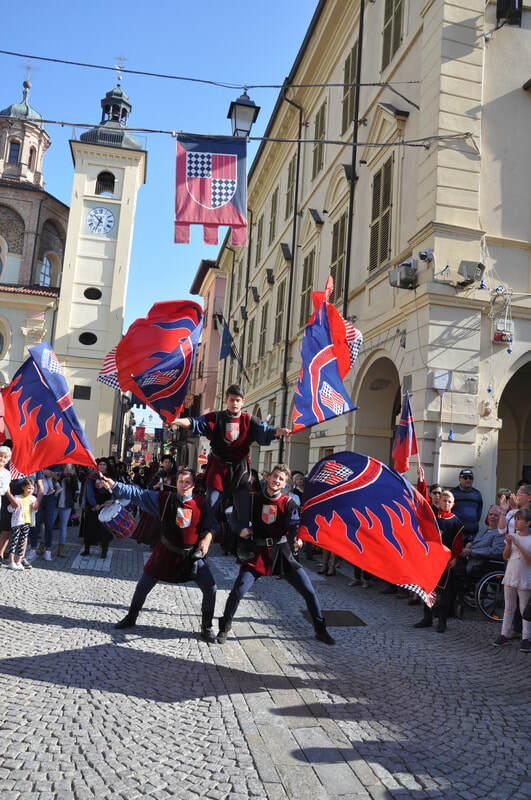 In addition to the usual dinner organized in detail and treated in food, the Committee offers shows of flag wavers and musicians of the municipality, children's parade in medieval costumes, music and images of old Poles and flag-waving group performances. The Palio Committee also deals with the Organization and realization of the "living Nativity" which takes place the weekend before Christmas. 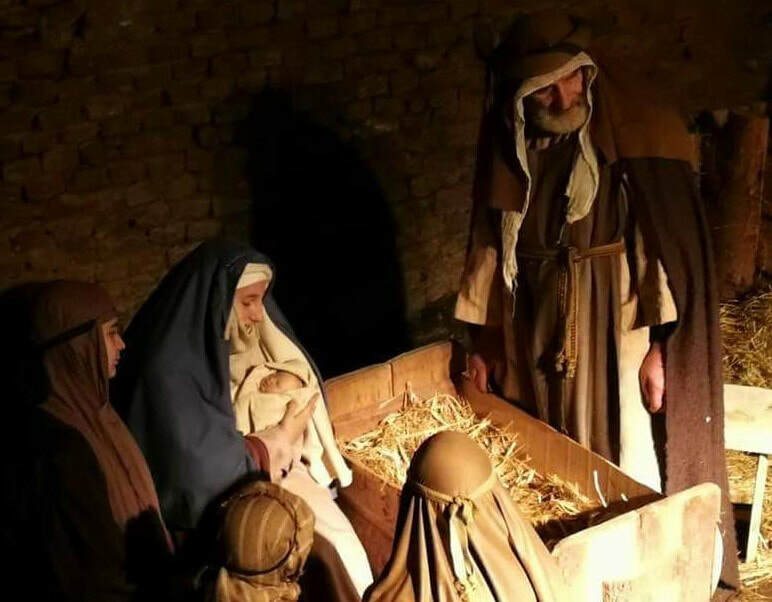 On the evenings of Saturday and Sunday, the procession of the Holy family, shepherds and wise men part from central freedom square to get to the heart of the village of Sutè, in which are reconstructed scenes and representations as close as possible to the Bethlehem Year 0. There are numerous animals (cattle, donkeys, sheep, goats, camels, doves, capons and chickens) and various are the trades represented (Carpenter, stones, mints, blacksmith, Shoemaker, laundresses, rope makers, innkeepers, merchants of doves, merchants spices and fruits, animal merchants fishmongers, basket weavers, artisans of mats, blacksmith, weavers, knife grinders and spinners). 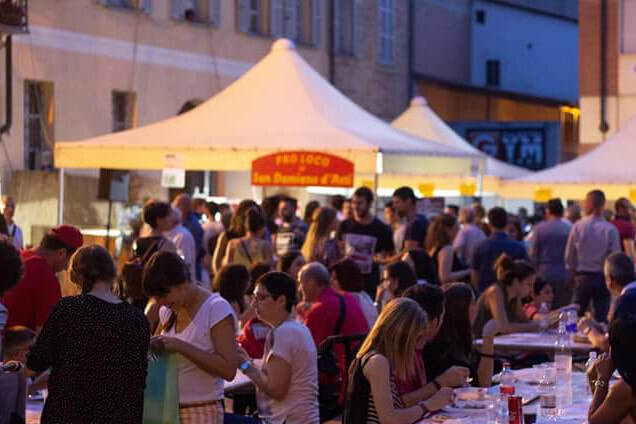 The Pro loco of San Damiano organises many events throughout the year. 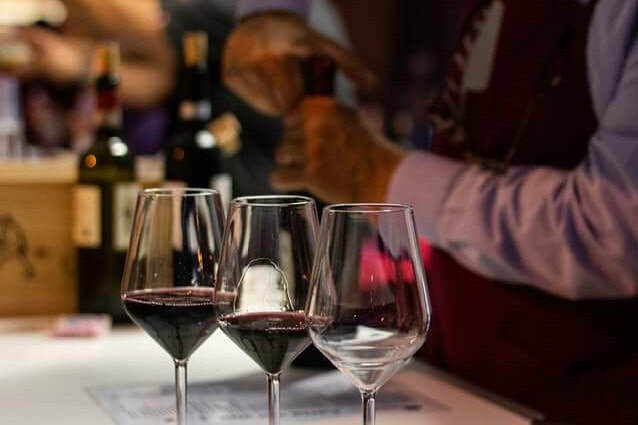 In particular there is the celebration of “La barbera incontra”, in June and "Settembre Sandamianese", participating in the "Festival delle sagre astigiane" (second weekend of September) with some traditional dishes like sausage to Barbera d'Asti , accompanied by excellent local wines. Paths of history and art.